The claim that work requirements will encourage people to work is a lie. The claim that work requirements are not designed to block people from accessing healthcare is a lie. And the claim that work requirements will not cause massive suffering and even death? That’s a lie, too. Sixteen states have taken up the President’s team on its explicit invitation to place this extra demand on their states’ residents who count on Medicaid for access to their medicines and treatment. There are high-level discussion about making Medicaid work mandates apply across the entire country. At first glance, the policy may not seem too bad. Working provides benefits to individuals and to society as a whole. So, what is wrong with requiring Medicaid enrollees to get and keep a job, especially given that there will be exceptions for people with disabilities or caregiving obligations? If President Trump and the states following his lead were actually concerned about able-bodied persons on Medicaid engaging in work activity, they could rest easy. Studies by the Kaiser Family Foundation and the Center on Budget and Policy Priorities show that the vast majority of Medicaid enrollees who can work already do so. And those who aren’t working usually should be considered disabled or are caregivers, and thus exempt from work requirements. The cruel irony of the Trump plan is that it is likely to worsen this status quo, not improve it. Decades of research show that access to healthcare increases the likelihood of a person consistently working. Pulling it away hurts their chances. As the documented outcomes of the Affordable Care Act prove, people who obtain health care are more able to seek and maintain employment. They are less likely to have unmet medical needs that mushroom into crises that require expensive hospital treatment—and loss of their job. This is nonsense. Data, not to mention common sense about the connection between health and work, expose these statements as fundamentally false. What then is the actual motivation for the work requirements push? Well, President Trump has been quite open about his desire to “terminate” the Affordable Care Act. When spirited public resistance, including by the faith community, fought off his efforts to bully Congress into repealing the ACA, Trump and his administration regrouped. They realize that work requirements can undercut the ACA’s most effective component, the expansion of Medicaid. They are counting on these regulations inflicting their damage outside of the bright lights of Congressional and popular scrutiny. Consider that the first approved Medicaid work requirement was in Kentucky, where expansion of coverage to 428,000 people has often been cited as a signature ACA success story. Sara Rosenbaum, former chair of the Medicaid and CHIP Payment and Access Commission, wrote an article in Health Affairs analyzing the Trump-inspired Kentucky work requirement plan. Rosenbaum’s conclusion? The Kentucky plan’s clear purpose is to “thin the ranks” of those newly covered by the ACA. When Verma alleges that others are bigoted against Medicaid recipients, she engaged in the public policy version of a Freudian slip. The work requirements push is a very tangible manifestation of the pervasive racist themes of this President’s language and policies. Imposing work requirements on public benefits is a policy with deep roots in racist demagoguery , including Ronald Reagan’s “welfare queen” dog-whistle and the 1996 gutting of the Aid to Families with Dependent Children program. Speaking about the same Indiana work requirements that the minister was referring to, the state’s social services director recently said, “We have no intention of putting members at risk.” This claim is every bit as disingenuous as Verma’s statements. It flies in the face of all available evidence and the lessons of very recent history. I am an attorney and law professor representing low-income clients in Indiana, including young mothers like Amber Thayer who have been kicked off Medicaid and struggled to get their medications due to our state’s unclear and inconsistently-applied regulations—created by Verma and then-governor Mike Pence. Thousands have lost their healthcare. In a Medicaid work requirement system that creates yet another layer of red-tape regulations, many more people will fall through the cracks. They will not be able to find and keep sufficient employment, or they will stumble when jumping through the bureaucratic hoops set up to qualify for exemptions. For example, many persons on Medicaid who are not working are living with significant disabilities. But research by the Kaiser Family Foundation estimates that more than half of those disabled persons have not yet received official confirmation from the Social Security Administration of their disabled status. That means they may struggle to prove they should be work-exempt. Millions of others who are caregivers for elderly or disabled family members should also qualify for work requirement exemptions. But it is unclear how such exemptions will be defined and applied. Arkansas is the first state to implement Medicaid work requirements. In just four months of the program, over 18,000 people have lost their healthcare for failure to comply with the requirements. Likely, many of those kicked off the program are working and/or are disabled or caregivers, and thus should not be removed. But surveys have shown that many Arkansas enrollees are simply not aware of what is required of them in the red-tape process. None of this is a surprise, as work requirements on other public benefits programs have been shown time and again to harm persons with disabilities or caregiving duties. We know how this story ends. Our brothers and sisters who struggle to navigate government rules and paperwork are often the same people who need healthcare the most. They will lose their Medicaid; they will go without prescribed medicine and treatment. Their path back to coverage will be made intentionally difficult: states are creating punitive “lock out” periods, during which those who fail to comply with new rules will be barred from re-enrolling in Medicaid, no matter how much they need care. So they will suffer unrelenting pain and advanced disease. They will incur higher emergency treatment costs. Some will die. The good news is that Arkansas is the only state to implement their work requirements, and the disastrous results there have helped spur rising opposition. In November, the Medicaid and CHIP Payment and Access Commission urged the Trump administration to stop using work requirements to take away healthcare. Lawsuits have challenged the work requirements in several states, and a federal judge temporarily halted the Kentucky plans’ roll-out. The faith community has contributed to this resistance, both in grassroots efforts and at the national level. But people are still being hurt in Arkansas, and millions of others are at imminent risk. When President Trump tried to gut the Affordable Care Act on Capitol Hill, the faith community and advocates for healthcare found our voices and fought back. We must find that same resolve in all of the states where these lies are being peddled, and widespread tragedy is lurking right around the corner. 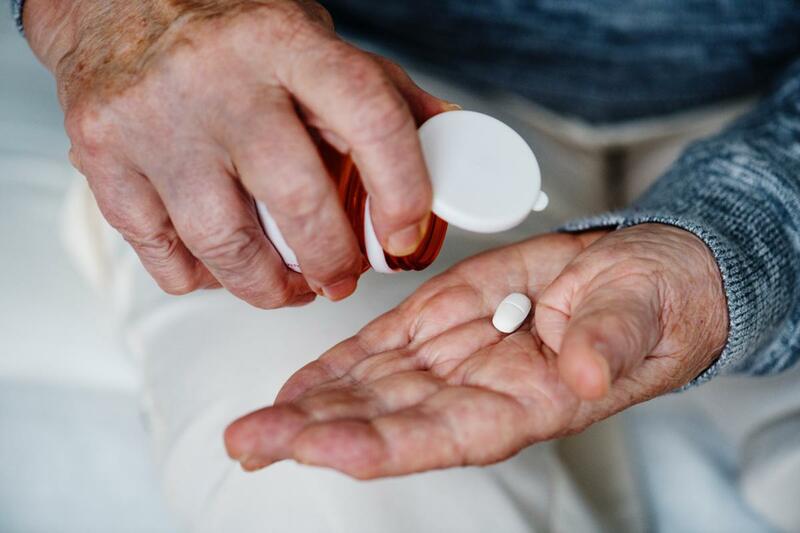 The Medicare Part D prescription drug program could have saved $14.4 billion in 2016 by negotiating its costs as the VA did, according to a new study in JAMA Internal Medicine. Drug industry lobbying power led to current U.S. law blocking Medicare from negotiating drug prices, which is at the core of VA savings and the far lower drug costs paid in other countries. Polls consistently show widespread, bipartisan support for changing the law, and unleashing the U.S.' bargaining power on drug prices. Ever wonder about the savings we could find if we move away from treating healthcare as a private, for-profit commodity? The money spent just on medical marketing in the U.S. grew almost 70% in the last 20 years, to nearly $30 billion, with the biggest increase being in direct-to-consumer ads. Next week in Faith in Healthcare: our “Five Questions” interview with Nathan Bennett of the Religious Action Center of Reform Judaism, who helped lead the inspiring interfaith campaign to save the Affordable Care Act.